CCEnhancer is an addon for CCleaner which adds core support of over a hundred different programs to the official CCleaner release. The main usage scenario for the system cleaner is to remove temporary files and unused data on a system and it supports an impressive number of applications. CCEnhancer adds to that list of programs by cleaning up the system even more. 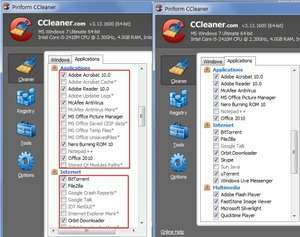 The program doesn't actually include the CCleaner program itself or much in terms of functionality, but actually gives the system cleaner application the possibility of downloading more definitions. Version 4.5.4 is a freeware program which does not have restrictions and it's free so it doesn't cost anything. For security reasons, you should also check out the CCEnhancer download at LO4D.com which includes virus and malware tests. Additional screenshots of this application download may be available, too.